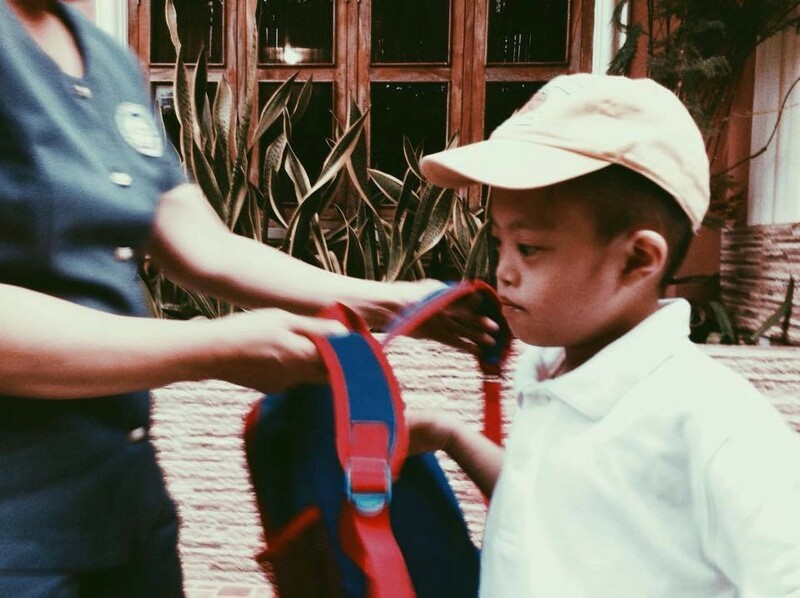 Mark is one of the 32 students with special needs who are enrolled this school year (2017-18 ) at the Romblon East Central School ( RECS ) Special Education Classes. ( SPED ). He is a kid with Down's Syndrome, same as others in his class. Other classes have kids with hearing difficulties, vision problems, learning difficulties, behavioral problems, etc. These special kids remind me of my sister, Pangga, who had Down's Syndrome and died at the age of 46. 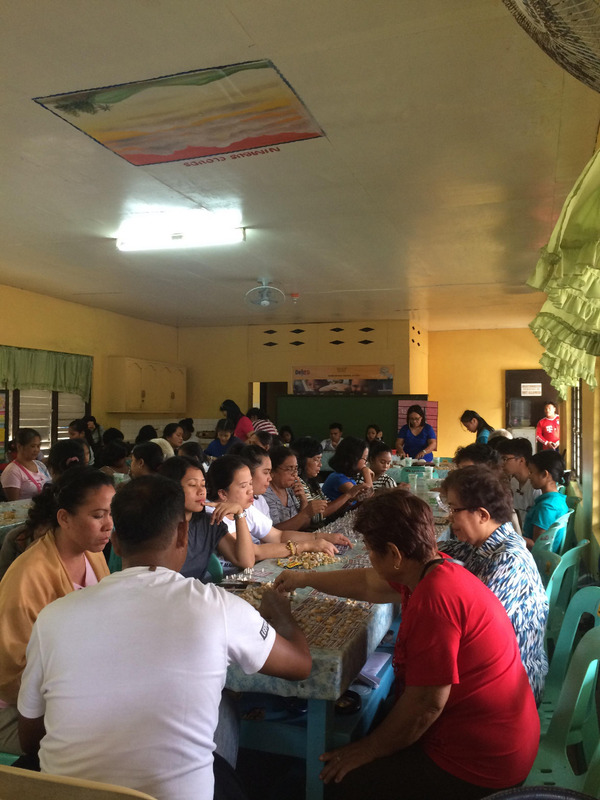 A year after her passing, my family, relatives and some friends came together and started " Pangga ta Ikaw,"
https://www.facebook.com/groups/Pangga.ta.ikaw, an endeavor to make her passing memorable by helping these special kids enrolled at the RECS -SPED classes. For the last 3 years, we have been providing travel expenses for some indigent kids for them to be able to attend school on a regular basis. Some of them travel the seas daily or three times a week and some by land from far away barangays. play. We need some amount to do this project and we need your support. Every help is appreciated. Here's a summary where your dollars will go. Let us all celebrate our good health and happy family life by sharing our blessings. Let us help these special kids be the best that they can be through the guidance of their passionate teachers so they will be able to enjoy their lives fully as we are. God will always bless our generosity. Our project, the mini-therapy area or the indoor play area for our special kids at the Romblon East Central School Special Education program ( RECS-SPED ) has been actively undergoing since last month with 2 weeks off during the holidays. 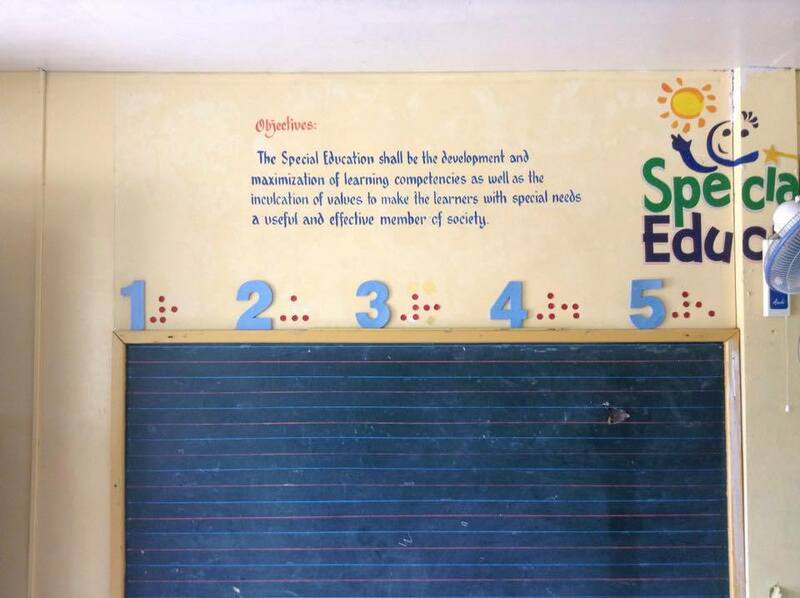 We hope that you will consider giving more support as we strive to finish the construction in the next few months and start buying the recreational equipments for our children with special needs. The roof foundation is in place and the workers are in the process of putting the roof itself. We still need some money until it's fully done. We're almost there with all your support. Much appreciated. We couldn't have gone this far without your help. GOD will reward you back a hundredfold. Been quiet for a while, no updates with the project, but hopefully we'll be continuing soon. There's a carpenter and we're just waiting for the plan from the engineer. We still need a lot of money to finish the project, so we are re-launching again the fundraising efforts. This Christmas season, please consider giving again. I know, there are lots of expenses during these days , but rest assured that when you give, you'll feel happier and blessings come a hundred fold because of your generosity. 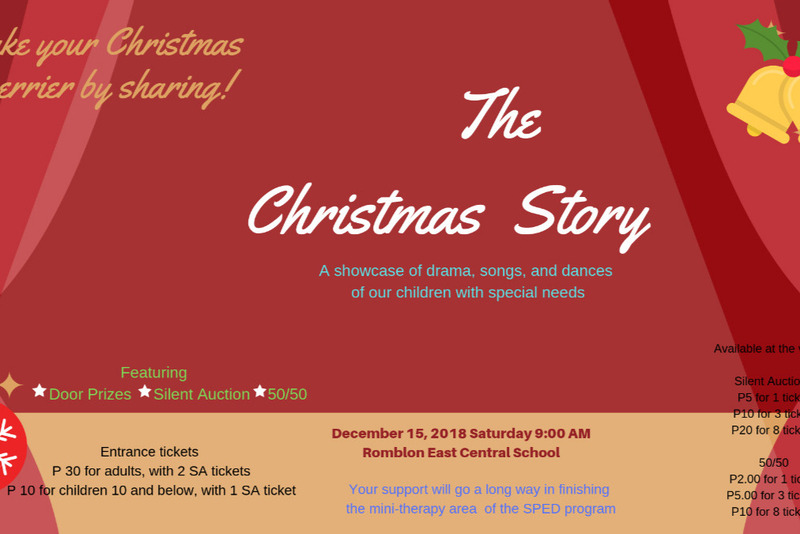 Locally in Romblon, we are having another fundraising during the kid's Christmas program, and again , we just want everyone to be aware that we need to love and care our children with special needs. This mini therapy area will be very helpful for them to develop their social and motor skills. 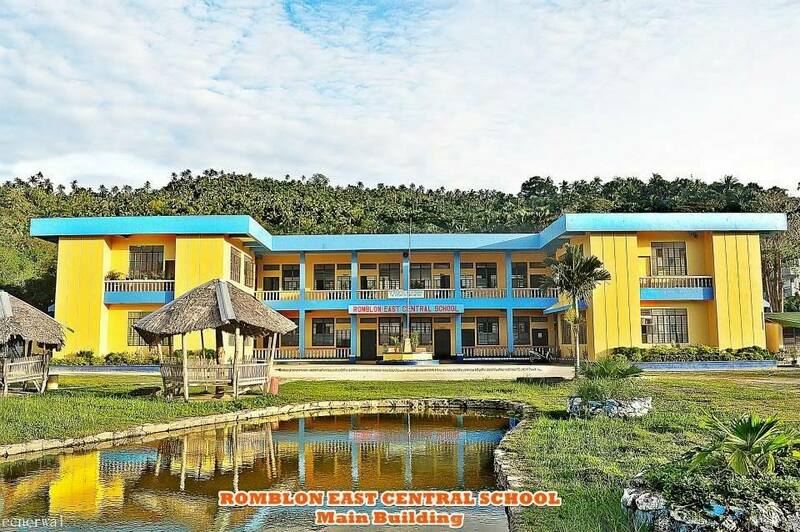 Pangga ta Ikaw and the Romblon East Central School Special Education Program hope to finish it next year in 2019, complete with all the equipments. Let us make our Christmas merrier by sharing. It's been awhile. I hope everybody is doing well. After the latest local fundraising ( Bingo social ) in January, work in the site has been a standstill. Not because we ran out of funds but for some other reasons. 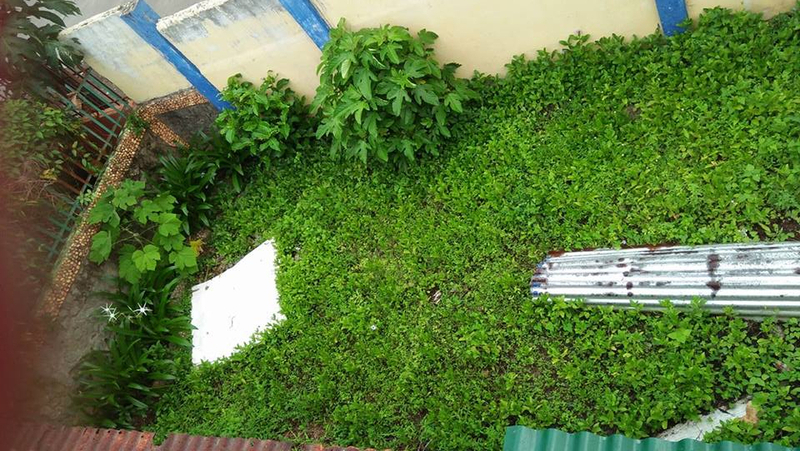 The teachers finished the washroom/comfortroom in that area first, but they had a different sponsor for this. Then, they got busy with seminars and lately, got occupied with preparations for commencement exercises for this school year. You know it's always a challenge teaching the special kids. Besides, they want to be there supervising the workers daily, so they decided to start again on the second week of May, when it's almost start of school again. Meanwhile, I'm also into another project, creating a website for Pangga ta Ikaw. I'm just starting, but if you like to have a peek, it's panggataikaw.com. I hope to spread the news that special kids need our love and full support. I'll definitely update you in the months to come. 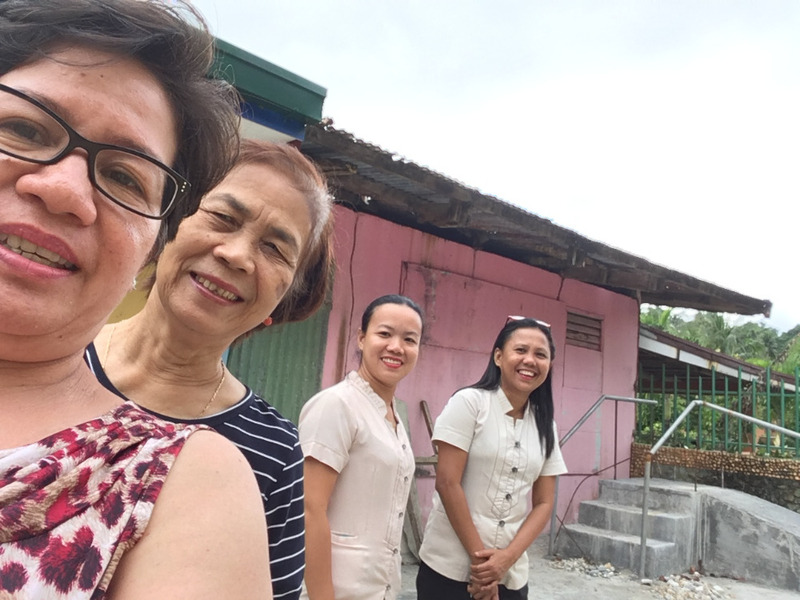 Just back from our vacation to our hometown in Romblon, Philippines , where this project is being made. 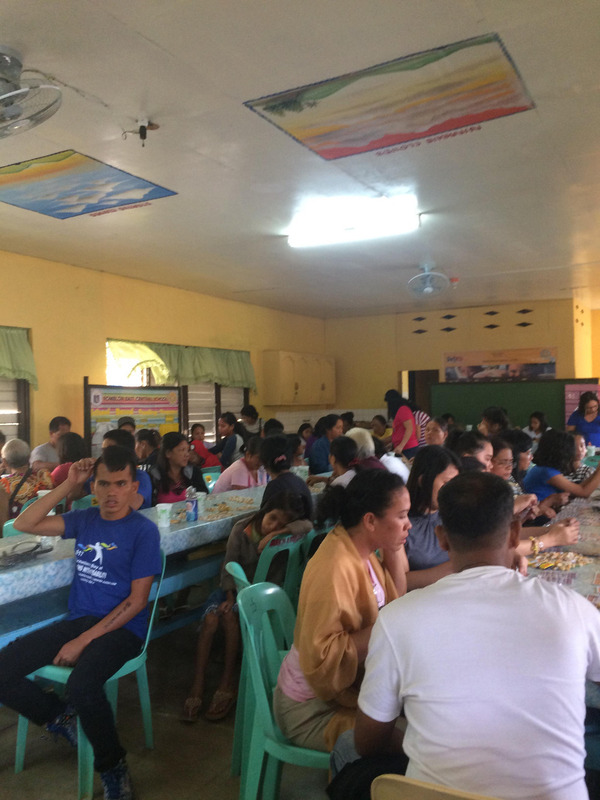 We did a local fundraising ( Bingo Social ) while I was there and we were able to collect some amount , as well as raise awareness in the community about the project and helping special kids in the school. Please view the pictures and read the story in the facebook page https://www.facebook.com/groups/Pangga.ta.ikaw/. 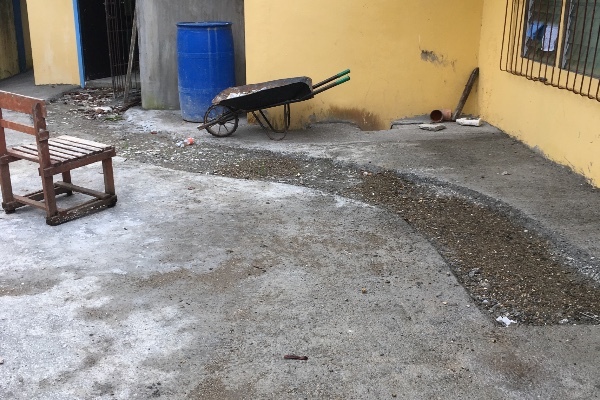 I am so happy to share with you that we have built the foundation/ flooring , but we still need a considerable amount of money for the next part, which is the roof. I'm afraid , it will take awhile to finish this part, but with your support, we can make it. Please consider to continue donating and sharing this post to the social media, your friends and family. 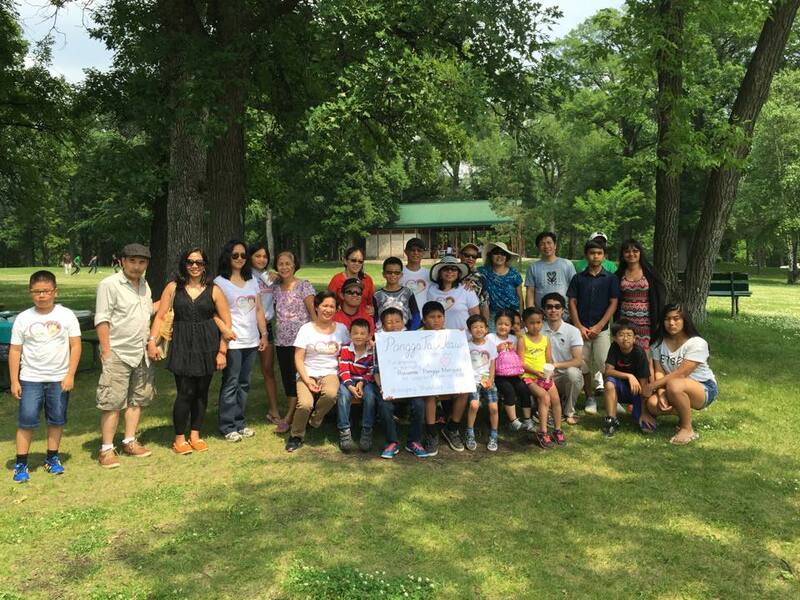 Our initial goal of $2,000.00 has to be increased to $5,000.00 for our project to continue. There is always a way to finish what we have started. Again thanks a lot to our generous donors and to everyone back home who contributed to the success of Bingo Social.